Are you ready to lead a healthier, happier life for you, your friends, and your family? How would your life be different if you had an extra $100, $200, or even $500 a week? This about it. What would you use that money for? Maybe for paying the bills, extra activities that your kids are involved in, or vacation money? What if you could work from home and create your own hours? YOU could be YOUR OWN boss! How would you like a discount on all Beachbody products, including Shakeology? Better yet, what if you could start a small side job that could turn into a full time job, replacing what you make now? Just imagine! If I told you that you could do all of this as a Beachbody Coach just by helping other people achieve their health and fitness goals, would you be interested? The team that I am on, who happens to be ranked #3 IN THE ENTIRE COMPANY, is holding a special event to share what I do as a coach! Believe it or not, I don't just sit at my computer all day posting motivational sayings on Facebook and share recipes. I'm not a workout fanatic. I workout every day anywhere from 25 minutes to 60 minutes. I'm helping other people create a plan, put it into action, and make it happen! 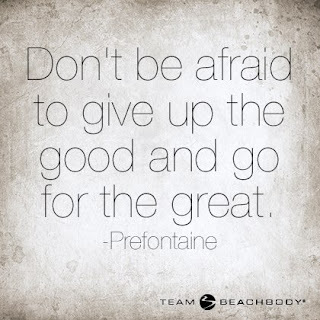 When I decided to join a Beachbody Challenge group in June 2013, I didn't realize that I would love it so much that I would actually become part of the business. I know there are some people out there rolling their eyes wondering what in the world I am doing. That just drives me harder! I am happy and on my way to having business success. You don't have to be a fitness expert and you don't have to be in the best shape of your life! I'm not...yet at least! It also doesn't matter how old you are or that you've never had your own business. Once I started seeing how I could help people not only reach health and fitness goals, but have a better quality of life, I knew this was something that I wanted to continue. Have you been at all curious about what this is all about? Do you think it is something that you could give a small amount of your time to listen about? That opportunity is coming up. On Wednesday, September 11, 2013 at 9:00pm, there will be a business opportunity call to explain what exactly a Beachbody Coach does. It won't last too long and you don't have to talk. All you have to do is sit at your computer and listen. If you have questions during the call, you can either type them in or contact me. There is NO fee and NO string attached! I promise, it's harmless! So what do you think? Are you in? 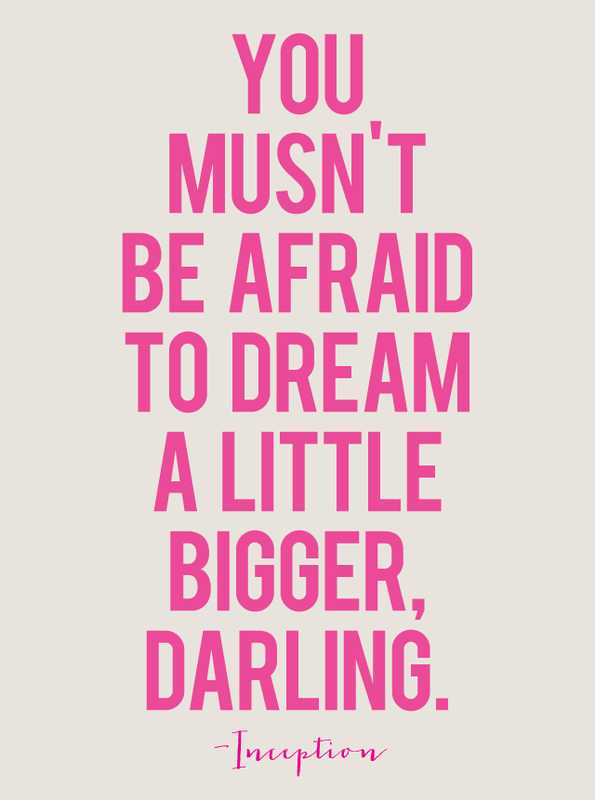 It's ok to have big dreams! They really CAN happen if you let them.